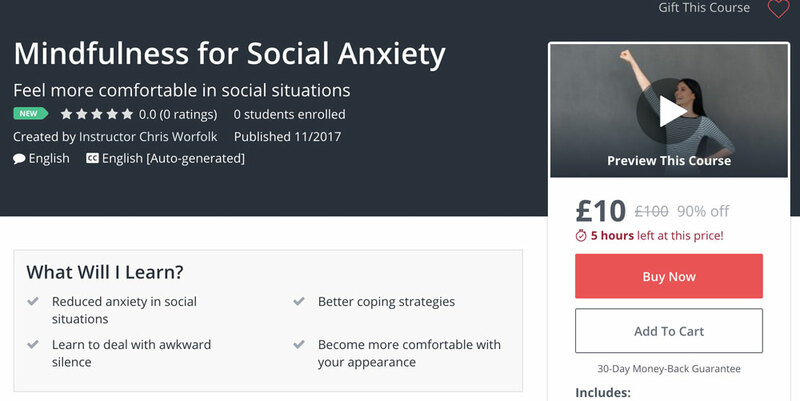 After much hard work, I’m pleased to announce the launch of my new course, Mindfulness for Social Anxiety. It follows on from the free 5-Day Mindfulness for Anxiety that already has thousands of students registered. This entry was posted on Saturday, November 11th, 2017 at 11:00 am and is filed under Health & Wellbeing. You can follow any responses to this entry through the RSS 2.0 feed. Both comments and pings are currently closed.